KISS A PUP TO HELP OUR CAUSE!! 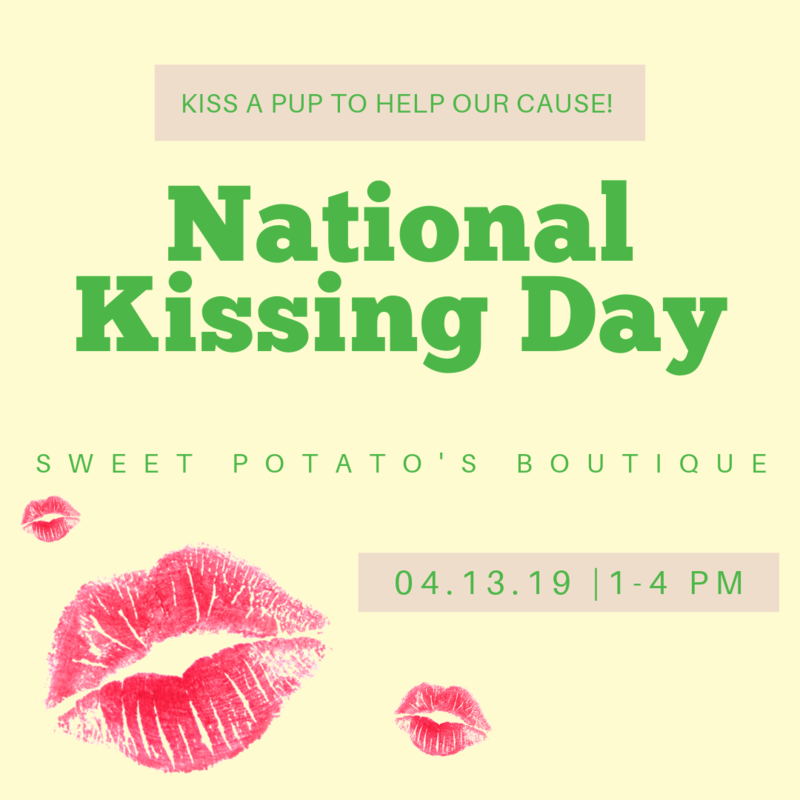 💋 🐶 This Saturday (4/13) is “national kissing day,” therefore we will have a kissing booth set up outside Sweet Potatoes Boutique (shops at Woodlake in Kohler) from 1-4. All donations go directly to our shelter animals in need!